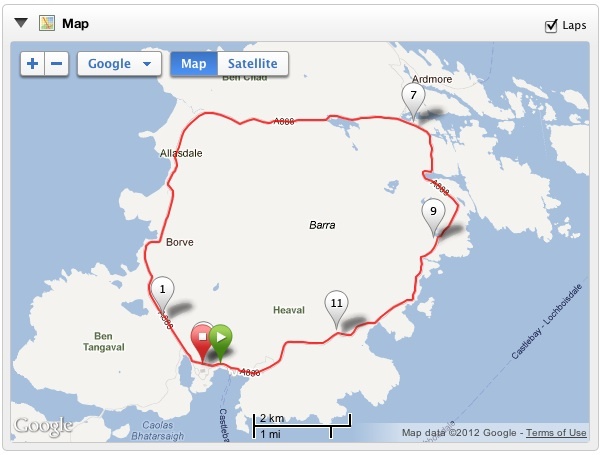 A half marathon around the Island of Barra, Scotland! I’ll went to Barra with a bunch of friends, and stayed in the Hostel at the start line. 😀 It sold out in 36 minutes this year, so I was lucky to get a place! Get to Barra at 18:30. Get to Oban at 14:10. Glasgow to Oban by car (A82, A85): 91 miles / 2 hours.